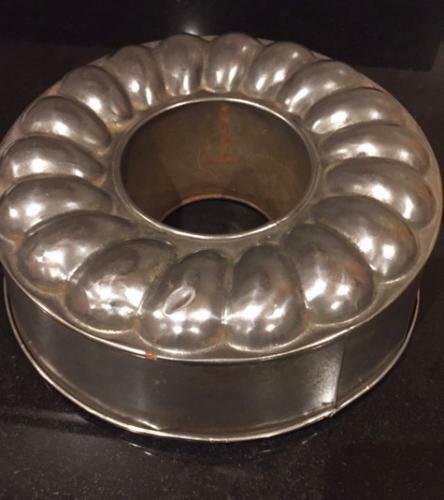 Antique Tin Pudding Mould in shape of a ring with piecrust top. Attractive hung on kitchen wall. It currently does not have a hanging hook but this could easily be added.